Revlon RV480 Professional Universal Finger Diffuser has a ceramic disk inside, so it's better for your hair. 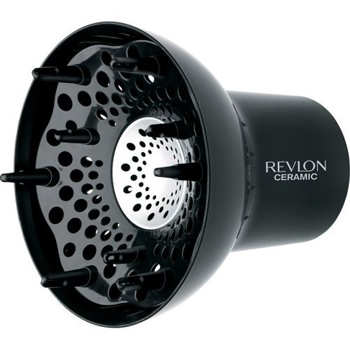 It is universal, so it fits most standard hair dryers. This product has high, even heat distribution for shinier, healthier looking hair. There is even a large drying surface.